In Mexico, tacos and tequila are a must. But, if you’re in Los Cabos, Mexico there are many other must eats. 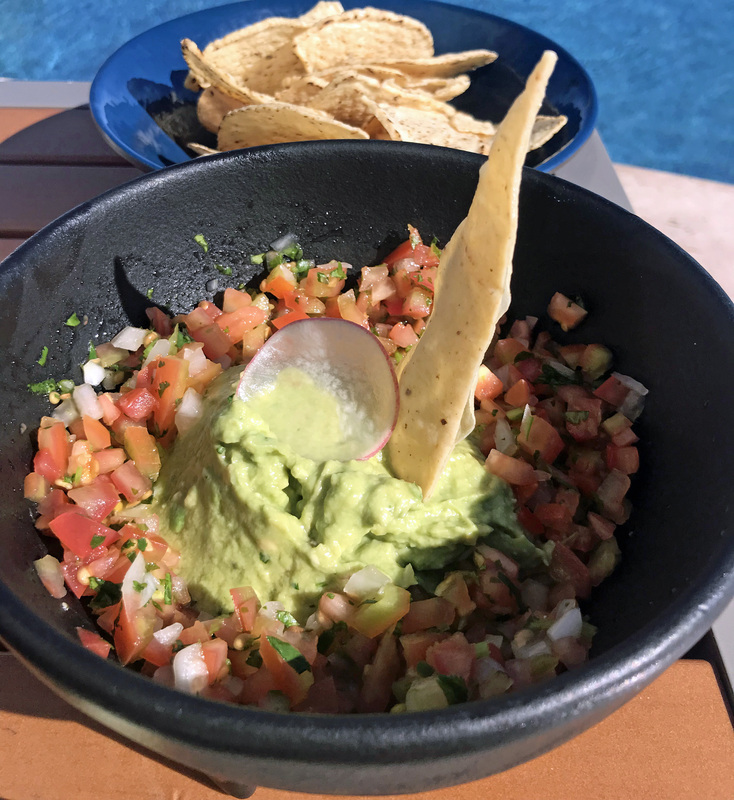 This is my list of what to eat and drink in Los Cabos, Mexico. 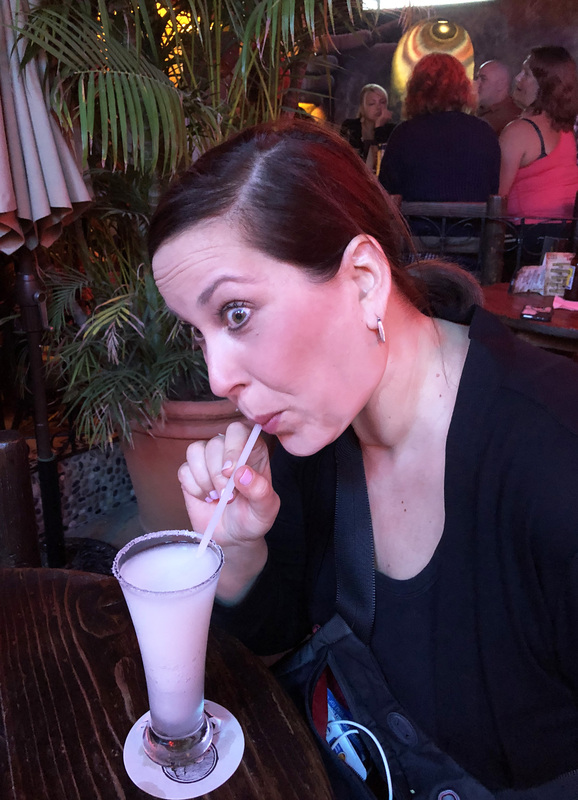 First things first – every tropical vacation needs at least one instance of frozen drink brain freeze. In Mexico, make it a frozen margarita. I’m not saying this traditional or gourmet, but they are darn tasty and the sugar tequila buzz is amazing. Frozen Margaritas are like sunburn in Mexico, you can find them everywhere you look. But, I feel like Cabo Wabo Cantina, in and of itself, is a right of passage for all party seeking vacationers. 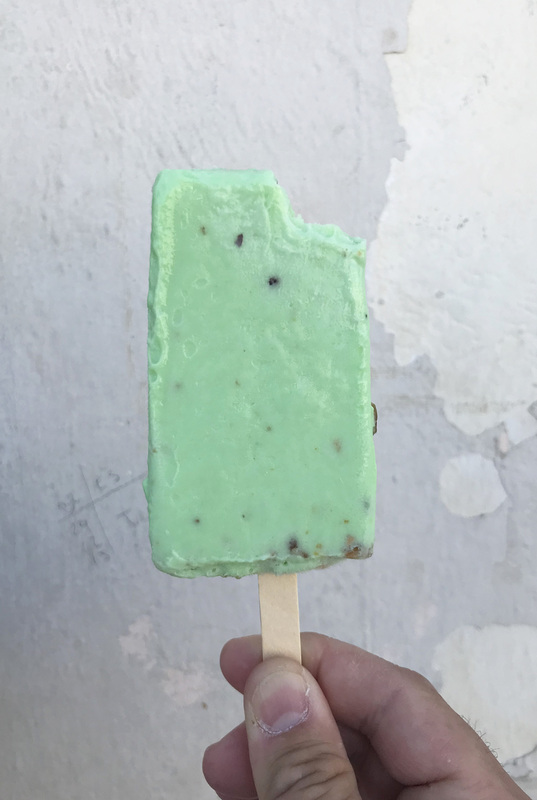 When you contemplate having a second paleta you know it’s delicious. Cabo has a several Paleterias but, La Tropical takes paletas to a whole new level. 100% authentic, not too sweet and big hunks of fruit and nuts. Amazing. You’re on VACATION. 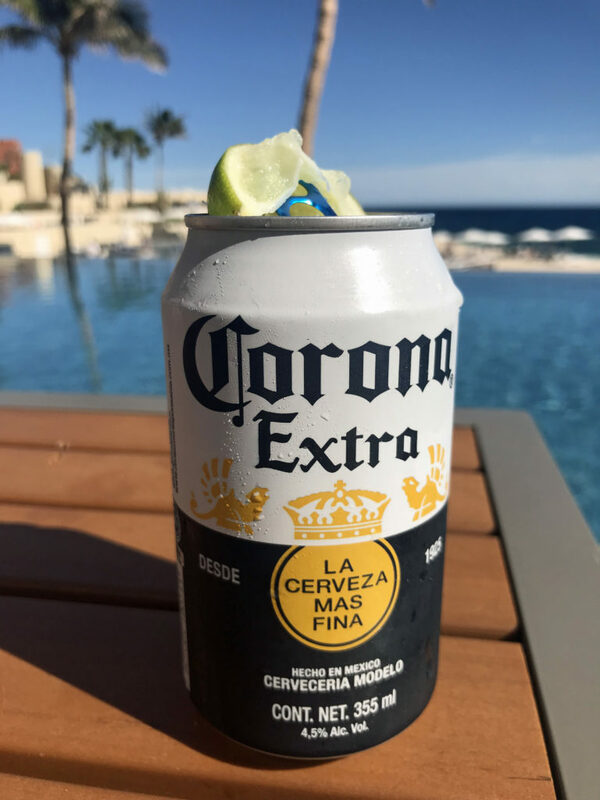 Live a little, drink a Corona poolside. A Corona will never taste so good. Who knew that Cabo had so many craft brews? 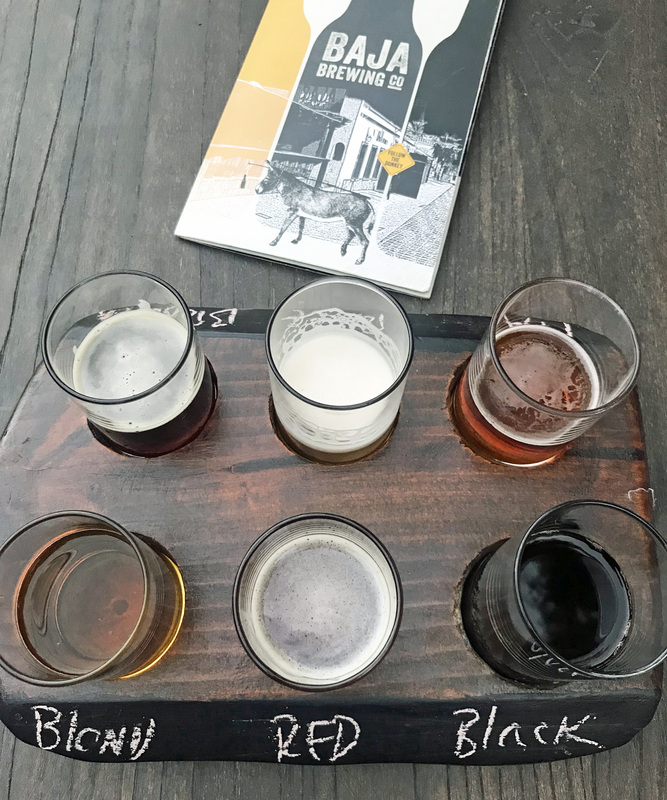 While a Corona poolside is great, craft brews at one of the many local breweries is a great way to relax in the evening after a fun-filled day at the pool or in the ocean. When you think of Mexico, you probably think of Tequilla. However, I was blown away by the cocktails, particularly Mezcal cocktails, in Cabo. There are a lot of great places to explore. Don’t be shy, drink beyond the margarita. I urge you to try Mezcal. Tacos are everywhere in Cabo. 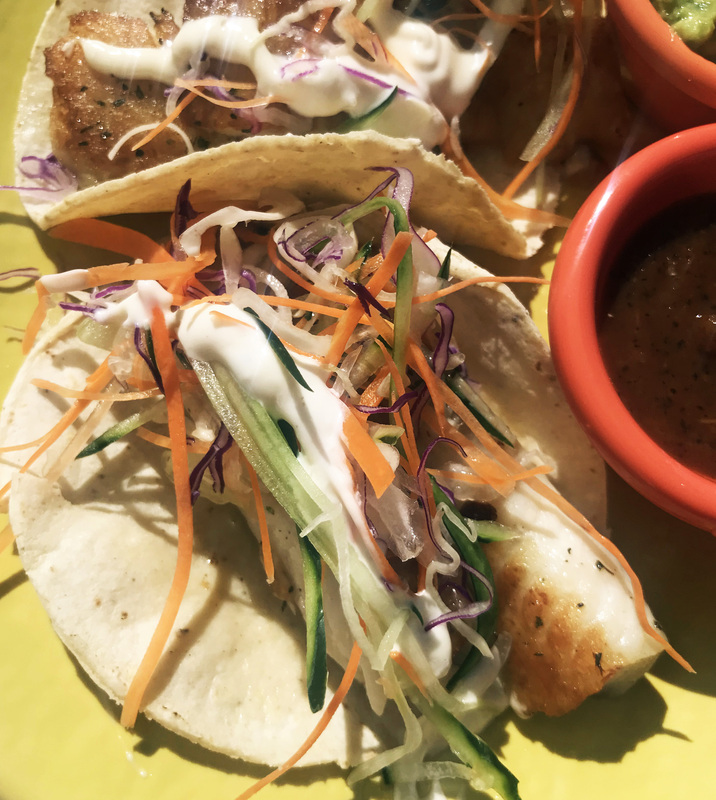 The seafood tacos, especially the fish tacos, are out of this world. Even our hotel had amazing fish tacos. Yes, I ate tacos every day, not I’m not ashamed. They were Delicious. I never met a food stall I didn’t like. 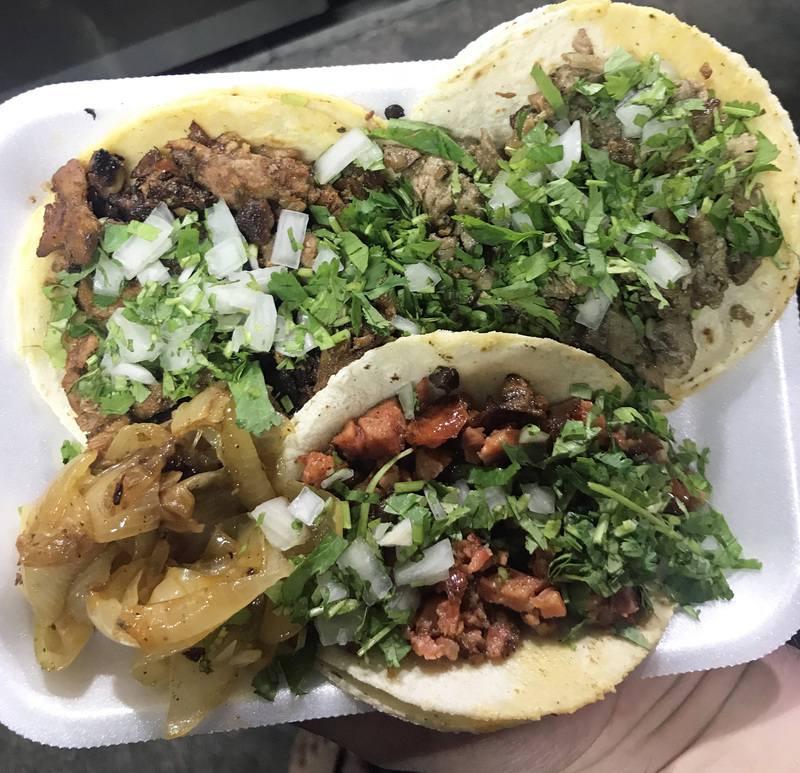 Some of the best things I ate in Cabo were from a food truck or a pushcart. 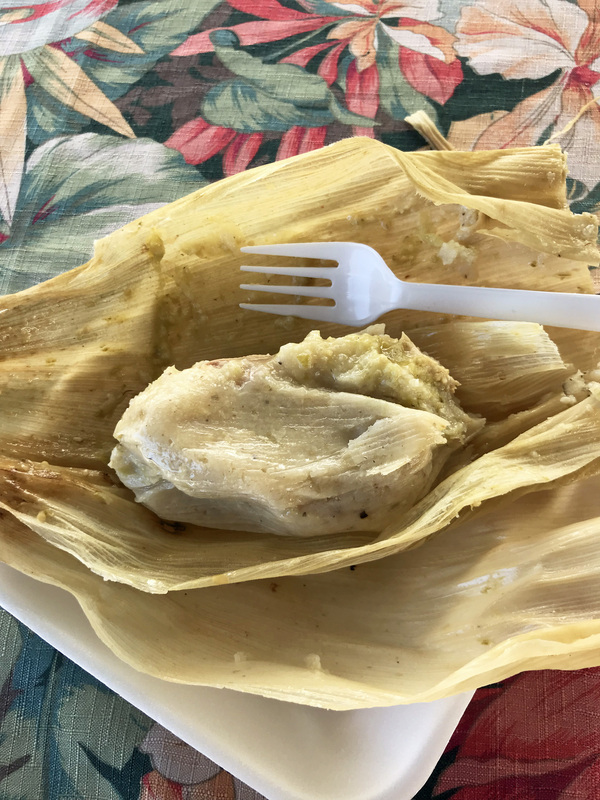 From tacos to tamales, if you see something good stop. I will likely be worth it. Seriously, avocados in Mexico just taste better. I indulged every dang day. If you love avocados I say eat them and enjoy, they will never taste the same at home. 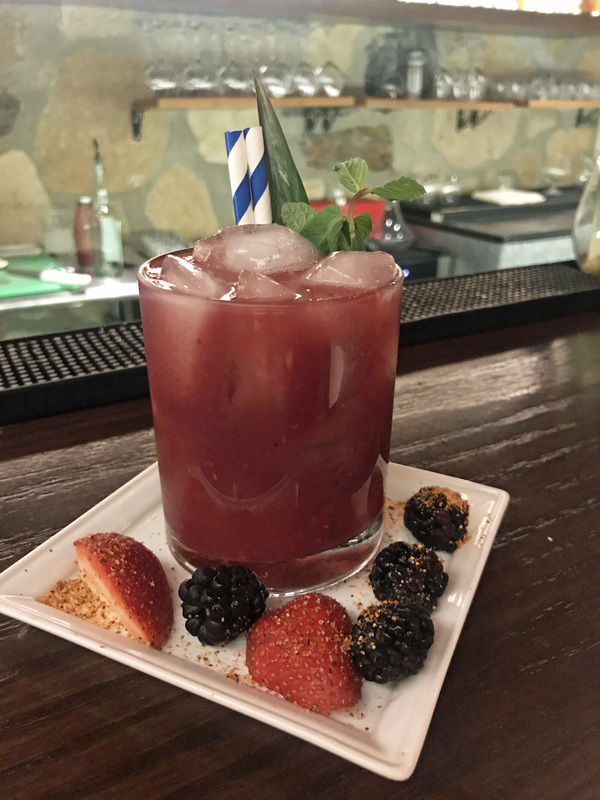 While there are delicious traditional Mexican cuisine restaurants to be found in Cabo, farm to table establishments are taking off. With a plethora of fresh produce, it’s no wonder why. 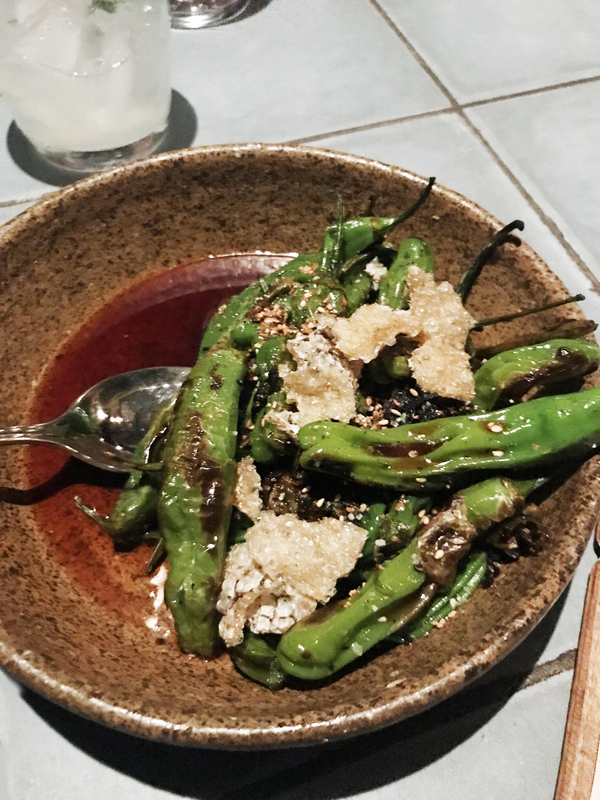 I was blown away by the food and the unique Mexican fusion flavors in many of the dishes I tried. I have to say I was impressed with the food in Cabo. The caliber of restaurants and variety of cuisines were an unexpected surprise. 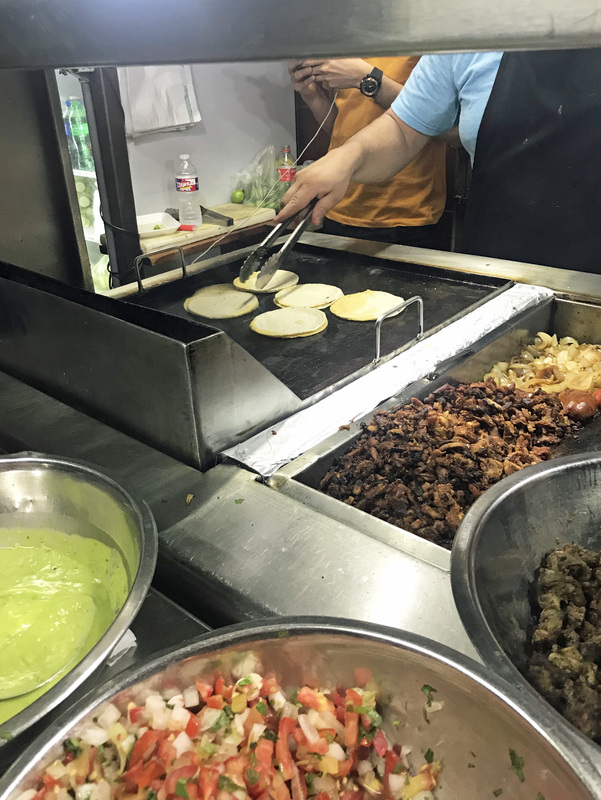 So much more than tacos and tequila. Be sure to save this guide to your favorite Pinterest board for later. Loved your blog as all these places are awesome, especially Cabo Wabo Cantina as its offers some mind blowing delicacies.